Word for Today: Praise the LORD for his goodness. “Oh that men would praise the LORD for his goodness, and for his wonderful works to the children of men! 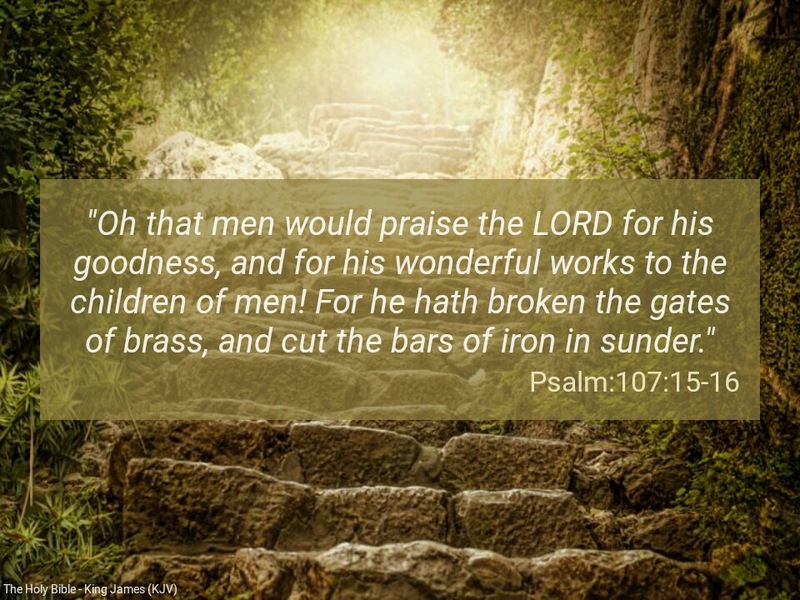 For he hath broken the gates of brass, and cut the bars of iron in sunder”(Psalm 107:15-16). No matter your circumstances or situations, have a thankful heart and keep praising God. Dear Father, please give us the grace, strength and power to keep praising you this season in the mighty name of Jesus . Amen. Previous Previous post: Word for Today: Be strong & very courageous. Next Next post: Word for Today: No compromise on perfection.